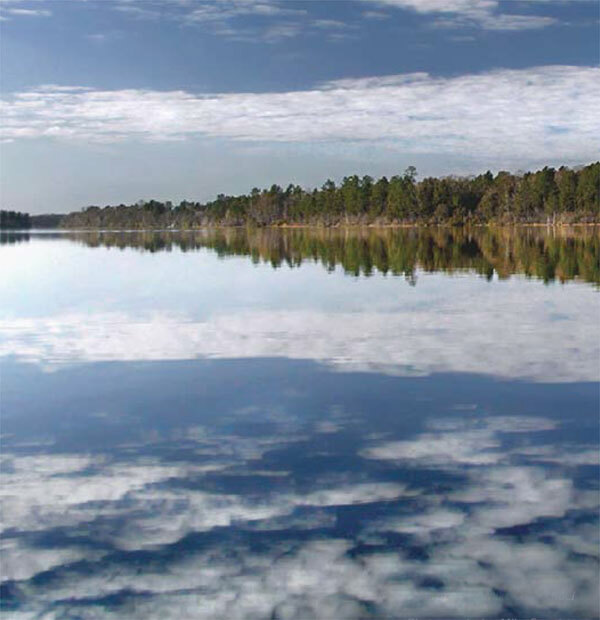 The Big Creek Lake watershed lies within Mobile County and consists of 104 square miles of land that drains to the Lake. Seven major tributaries contribute to the Lake’s volume. Big Creek combined with Crooked Creek and Hamilton Creek are the three largest providing inflow into the Lake. 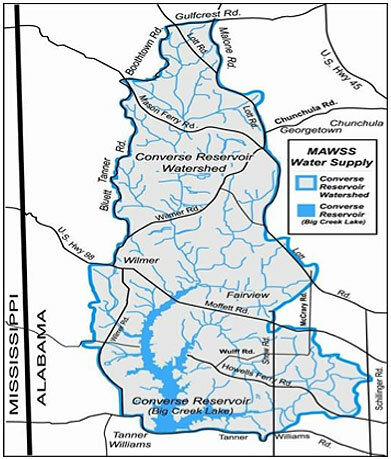 Juniper Creek, Collins Creek, Long Branch and Boggy Branch are the other major feeder streams. What people do on land has the potential to impact the quality of water draining from that land. Dispose of trash, household chemicals and batteries properly. Report illegal dumping to authorities. Make sure your septic system is working properly. Don't pour oil or other petroleum products on the ground. Prevent land erosion and minimize rainfall runoff by planting appropriate plant cover on bare patches of ground. Use best management practices when caring for cattle and other livestock. Clean up after pets.